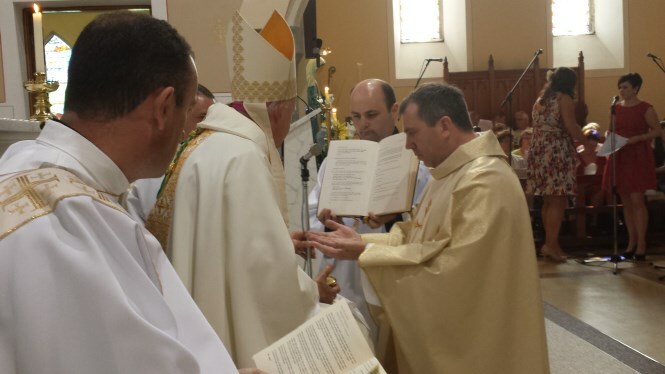 Some images from Ordination Ceremony on June 9th in Achonry-Mullinabreena Parish. Fr Paul Kivlehan becomes the newest priest in our diocese. We thank God for his ordination and pray God’s many and continued blessings on his ministry. So I have loved you. It is good to be with you today, gathered in this beautifully renewed church of the Sacred Heart. The Sacred Heart of God’s Love. I’m deeply conscious of how you have prepared for this day, the effort and time put in, especially over the past year, so that this would be what it should be, a day to remember, a day when you are at your best as God’s people, a family of faith. Thank you and thank you for Paul. I’m deeply conscious too that this is the parish of St Nathy, and the parish that gives its name to our diocese. 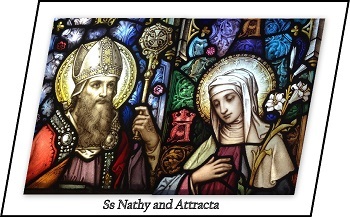 St Nathy is our patron and our father in the faith. Being here focusses us on the origins, the beginnings of the faith story of the diocese 1500 years ago, and how deep are the roots of the faith that is expressed so eloquently in all the preparations, as in all that we are doing today in Ordaining Paul as priest. In this Year of Faith, it is no accident that we are having our first Ordination to the priesthood in 10 years, and that that ordination is taking place here in the parish of the priest Nathy himself, with whom the faith story of the diocese began, all those centuries ago. The faith womb from which Paul the priest is being born today is very deep…. 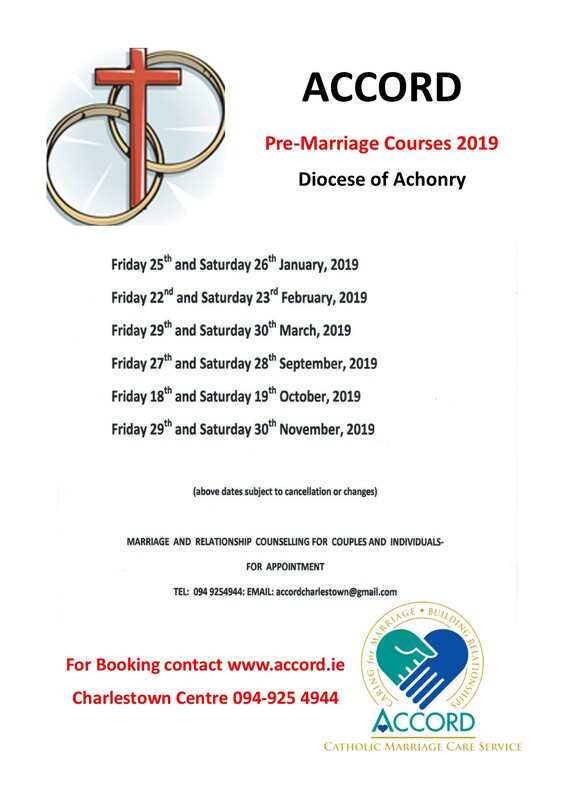 People of Achonry-Mullinabreena, you have restored and renewed this church building for this day on which you give Paul to the diocese as priest. Please let us pray today and let deep reflection begin on the treasure that is our Christian faith, and belonging with Jesus to the family of God, and how that gift of faith may be renewed and restored in the hearts of all the people of this diocese of St Nathy. May this day mark a new beginning for faith throughout our diocese, beginning from this parish…. “The task of renewal in Christ is never finished. Every generation, with its own mentality and characteristics, is like a new continent to be won for Christ. 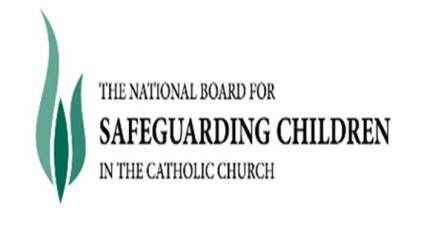 The Church must constantly look for new ways that will enable her to understand more profoundly and to carry out with renewed vigour the mission received from her Founder’. If that was true in 1979, it is even more true today….and we take these words to heart on this day of profound hope and, yes, why not, new beginning for us all. I want to welcome your family, Paul. There are many of them here, including your brother Walter. But I want especially to welcome Annie-Mae and Walter, your parents. They have been your first teachers in the ways of Faith, your best teachers. And you will find Paul that they will continue to be that. 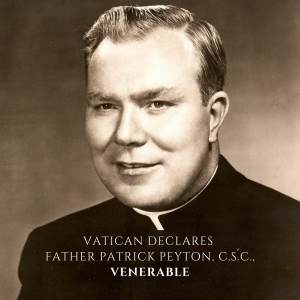 A home and parents where prayer and faith is part of the air we breathe is a fountain from which you will continue to draw ever deeper strength as you respond to God’s call, and bring the Good News of God’s love to others in your priestly ministry, especially when the going gets tough. As it will betimes. the gifts to be offered to Him. Model your life on the mystery of the Lord’s cross’. This entire ordination ceremony is embedded in the Eucharist, which is the mystery of the Lord’s cross. Out of that mystery, though, Resurrection and new life are born. And out of this mystery too your priesthood is born. Today you become a man of the Eucharist. 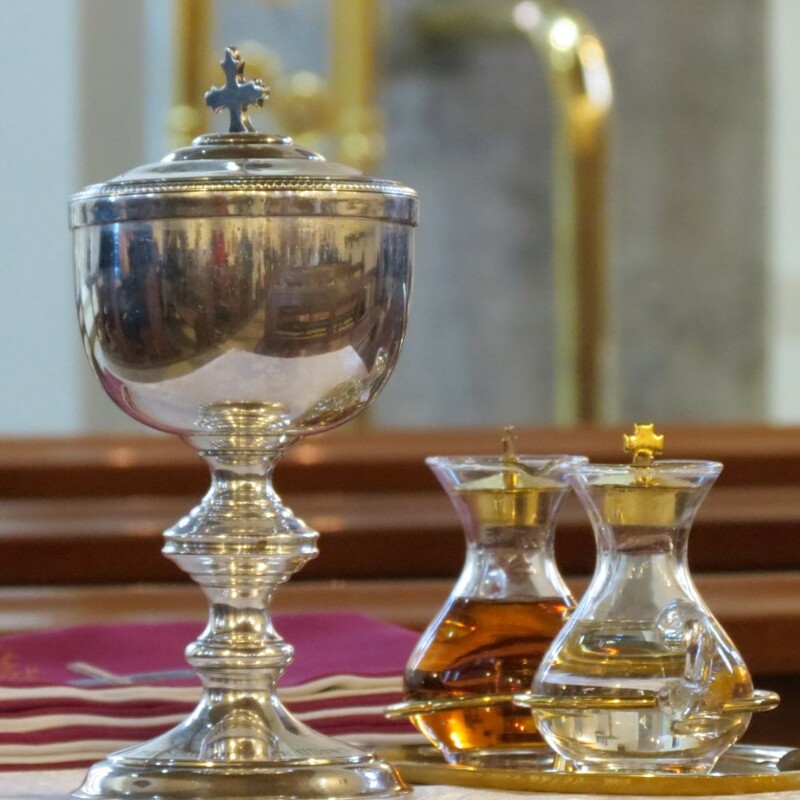 He becomes eucharist: taken, blest, broken, given. ‘Know what you are doing’, the ceremony will state in a moment, ‘and imitate the mystery you celebrate’. ‘As they give up their lives for you and for the salvation of their brothers and sisters, they strive to be conformed to the image of Christ himself and offer you a constant witness of faith and love’. The commitment to celibacy made with diaconate, the promise of obedience today, are part of that giving up, that witness of faith and love. Priesthood doesn’t come cheap. Were this not a Sunday, we would be celebrating on this day, June 9, the feast of the great St Colmcille or Columba. In this context, there is an ancient little tale recounted in the Book of Lismore. It tells us that Colmcille came to visit Nathy here in Achonry one time. Along with him were two other famous saints and founders of churches, St Cainneach of Ossory (Kilkenny) and St Comghall of Bangor. They arrived after evening meal time, and Nathy left them without food till the morning – that was the normal fasting time in the ancient Irish monasteries – and then he assessed their reactions! Fasting was a central part of Christian practice in ancient Achonry. The fact is worth pondering, but we won’t talk about fasting here now for today and tomorrow! You see Nathy, good priest that he was, was right…assessing the reaction of his friends to the fasting, the sacrifice the situation they found themselves in demanded. 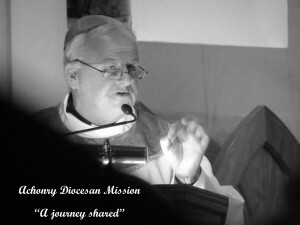 Life as priest invites us to fast often…as it invites all the people of God, whose servants we are. That’s how it was for the Master who calls us, even to the ultimate deprivation and desolation that was Golgotha. The mayflower is in full bloom outside and the sun glorious in the sky, our ceremony here is rich and we are all gathered in faith and hope and love around you. God is doing a good thing in you, Paul, for all our sakes. Thank you for your yes to him, and may He, who has begun this work in you, bring it to fulfilment in Christ Jesus our Lord, Amen.